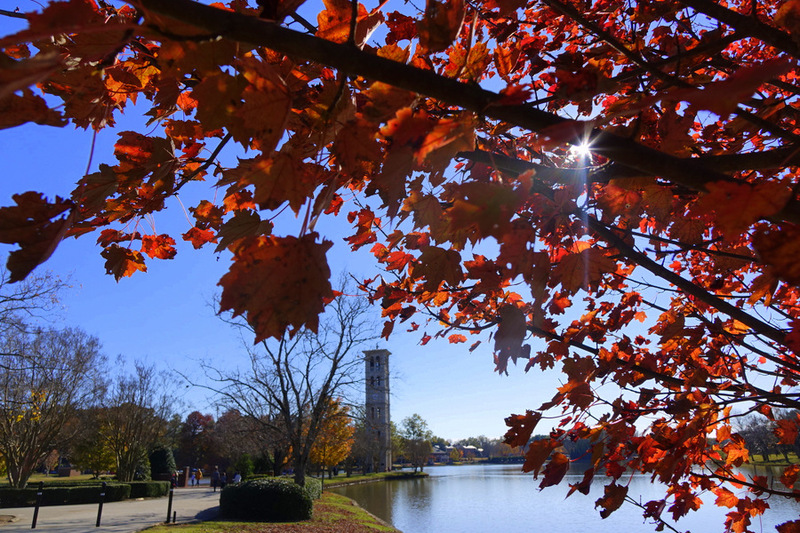 Looking past the leaves to the Furman Bell Tower. Thank you! The light was harsh and this not the most popular viewpoint for the bell tower, but I managed to find something interesting even so.